I love Spring. I especially love Spring in Dahlonega. Spring’s triumphal entry is announced by the emergence of beautiful daffodils, or “March Flowers” as they’re called by many locals, in the fields and alongside the roads. Upon their arrival I begin to get the itch. I get the itch to leave my desk when it’s 70 degrees outside to go sit beside a creek and read a book. When it’s particularly clear, I get the urge to hike up to Preacher’s Rock to see all the way to Stone Mountain. On Sunny Fridays, I’ll skip lunch and head to the Pickin’ Porch at the Vickery House to hear some old time gospel pickin’ and singin’. 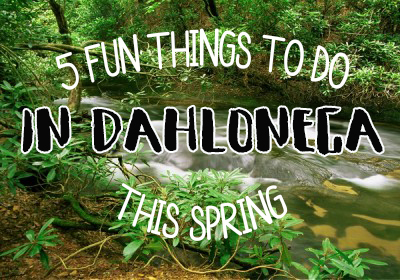 I’ve picked 5 things to do in Dahlonega this Spring that I’m gonna cross off my list. You’d be wise to do the same! 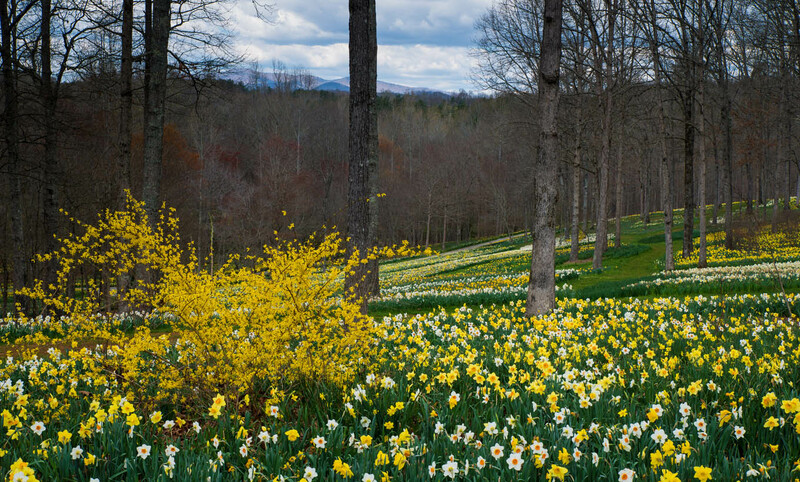 Gibbs Gardens is home to the largest daffodil garden in the world. I was a little skeptical about this one. Small zoos notoriously get a bad wrap, and often for good reasons. However, I was thoroughly impressed by the facilities, and the animals seemed to be very well taken care of. My son of 18 months had the time of his life. 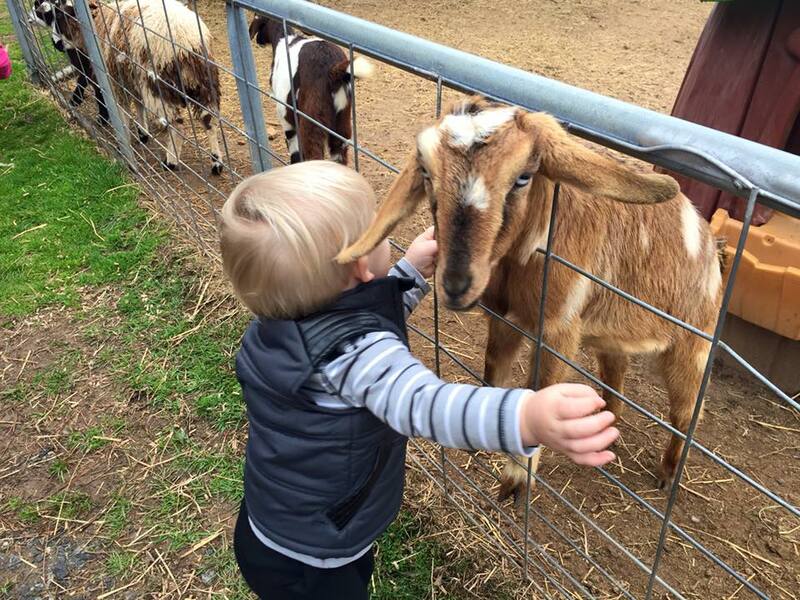 Animals that he’d only seen in books and on TV—llamas, alpacas, sheep, goats, camels, snakes, armadillos—he was able to touch! Admission to the petting zoo is only $8. While writing this blog, I discovered through local trout fishing expert Daisy Wright that trout fishing is now YEAR-ROUND! Even if it is year-round, there are a lot of reasons to do it in the Spring. The main reason is that they begin stocking the streams. For a map of all the trout streams in Lumpkin County, check out this link. Also, be sure to get your trout stamp from Wal-Mart or the DNR website. I am a huge fan of The Beatles. I’m also a huge fan of the quaint Historic Holly Theater. Given that I won’t ever get a chance to see The Beatles in person, unless I obtain a DeLorean with a functional flux capacitor, seeing The Return is the next best thing. The Return is a phenomenal Beatles cover band. They dress the part, look the part, and most importantly sound just like The Beatles. They’re playing The Holly on Saturday, April 2 at 8:00 pm. Tickets always sell out so be sure to buy your tickets today! The Bear on the Square Mountain Festival is April 16-17 on the Square in Dahlonega. It’s a festival that’s been around 20 years and commemorates the time a bear that founds it way up a tree on the square in the 1990s. 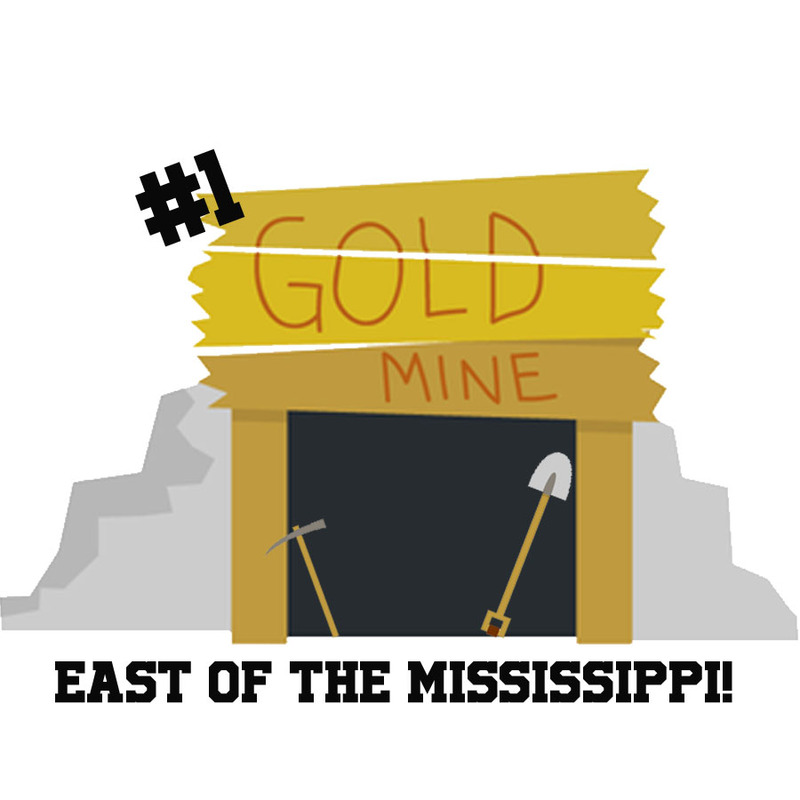 The weekend will include Appalachian arts and crafts and old time, blue grass and gospel pickin’. There will also be workshops on everything from storytelling to banjo playing. There is no cost for admission, so you don’t have any excuse not to go. Jam sessions pop up spontaneously around the square.